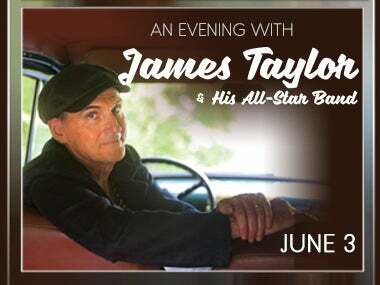 Sacramento, Calif. – Legendary singer/songwriter James Taylor & His All-Star Band announced tour dates for 2018 today with special guest Bonnie Raitt. Taylor and Raitt’s highly acclaimed summer tour played to sold-out crowds across the US last summer and celebrated their decades-long friendship. This year’s tour includes a performance at Golden 1 Center in Sacramento on Sunday, June 3rd. Tickets go on-sale January 19th at 10am on www.jamestaylor.com and at www.ticketmaster.com. Bonnie Raitt is more than just a best-selling artist, respected guitarist, expressive singer, and accomplished songwriter, she has become an institution in American music. Born to a musical family, the ten-time Grammy winner, who Rolling Stone named as both one of the "100 Greatest Singers of All Time" and one of the "100 Greatest Guitarists of All Time,” was inducted into the Rock and Roll Hall of Fame in 2000. After 20 years as a cult favorite, she broke through to the top in the early 90s with her GRAMMY-award winning albums, Nick of Time and Luck of the Draw, which featured hits such as, Something To Talk About" and "I Can't Make You Love Me." 2017 proved to be an exciting year with tour dates in Australia, New Zealand, Hawaii, Canada and across the U.S. (including 17 dates in the support slot for Taylor) building on the success of 2016's trek which saw Raitt perform over 75 tour dates worldwide following the release of her twentieth album Dig In Deep (Redwing Records). As a follow-up to 2012’s triumphant Slipstream—the Grammy-winning, Top 10-charting first release on her independent label—Dig In Deepillustrates the delicate balance of consistency and risk-taking that has defined Raitt’s remarkable career for more than forty-five years—a career where she is as known for her lifelong commitment to social activism as she is for her music regularly incorporating on-tour fundraising for charity and benefit concerts into her schedule.